Flat Earth may not yet be proven true, but it's certainly quite possible. This is they key..is plausible even if we are in 2017...what I cannot understand is the hate + ridicule instead of having fun researching and discussing. Everything is flat. You're flat, you're flat, you're flat, Everyone is flat. You, you, and you !! You're all flat !! We're all flat!!!! Balls are flat. they only appear round because our eyes are shaped round. Which doesn't apply to anything else because of made up things. But lets discuss with concern and effort, the veracity of such things, entertained when people of education and good character thought removing the entire reproductive systems of women would help calm the little lady down from her fit of 'hysteria'... good thing they invented those 'hysterectomies' back in those days. Or, well, invent something designed to know "What's up, Doc?" and rabbit around - literally. Good times, flat earth, vapours, demonic possession.. good times... Sadly, I think we'd moved on from trepanations by then. At least, in modern scientific circles. Ahh well, we can always have a good witch burning when the spirits are low. "It allows billions of dollars to go to 'space programs', first of all." ???? You realize of course that people have known that the world is spherical not for just centuries, but a few thousand years, right? Well before any space programs exists. Keeping power? Dude, learn the history of certain religions, like the Catholic church. Anything that would have helped support intelligent design, and a Flat Earth with a dome can only be that, they would have been shouting from the roof tops in order to maintain power. Gravity? My god your statements show just how much the educational system has failed you. Please sit down with a book or watch a instructional video on the laws of momentum to start with. Who said all the other planets were lifeless? Not me. There's a good chance of bacterial surviving just fine at certain altitudes in the atmosphere of Venus. Mars may not have anything obvious on it's surface, but that doesn't exclude anything underground or in it's ices. Europa and Enceladus look very promising for life under their shells of ice. You still didn't answer plenty of other questions either....because you and other FE'ers have no answer to them. Again: Flat Earthers are why so many people look at legit CT'ers and think their morons. No, you've been indoctrinated into calling people who argue it it a flat Earth "morons". I've never even considered the flat Earth theory until a few weeks ago, when a co-worker brought it up. The last thing I would ever do is consider, or call, someone a "moron" for what they believe. It's odd that whenever someone disputes the 'official' account of something, they are called 'morons', who don't know anything about the subject. 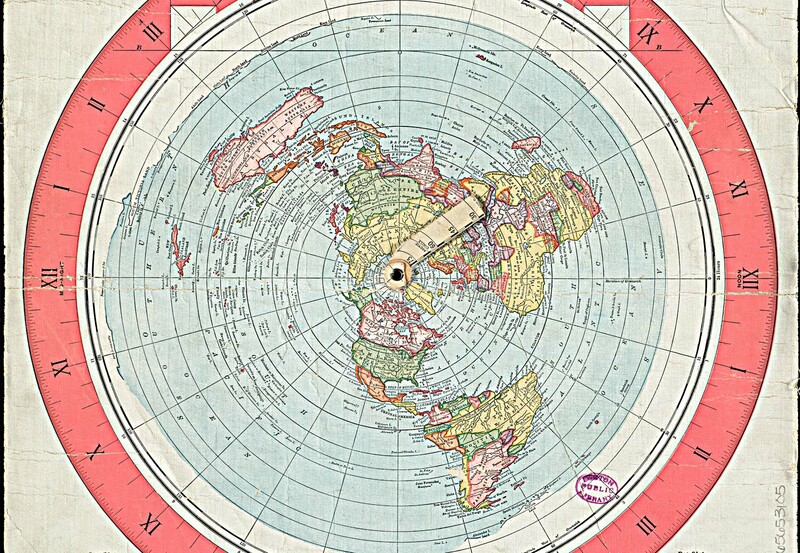 To dispute that the Earth is a globe, or even consider the possibility it is not a globe? Even questioning how it's a 100% proven fact that Earth is a globe, shows what fools they are! I remember how everyone in my school was taught about the Earth being a globe, and that humans had evolved from 'primates', by some sort of split-off from 'modern-day apes'. We humans are 'cousins' of apes! Evolution is a whole other issue, so I'll end it there. Anyway, the Earth was always taught in schools as being a globe. Something else they taught us, is that it was once believed that the Earth was completely flat! Why? Because Earth 'looked flat', we assumed it was flat. It was taught to us that they never had sailed around the world at that time, which would have shown them Earth was a globe, and not flat. Sailors were scared they'd sail over the edge of the Earth if they went far enough! Until Columbus, and others, sailed into the vast unknown, and proved to everyone that the Earth was NOT at all flat! It had no edge, that we fall over, and plummet to our death, in space. I'm going over what everyone of us has been taught about the idea of Earth being flat, is that nothing has to be more stupid to believe is true, and it was their utter ignorance, lack of science, inadequate vessels, religious dogma, so on, which made them all believe Earth was flat. It WAS NOT mentioned at all in our schools that we HAD sailed everywhere. Well before Columbus ever did. It also WAS NEVER mentioned in schools that we HAD ALREADY MAPPED THE WORLD, many times - way before 'pioneer exploration' showed maps of Earth, as a globe. As for your argument that Christian leaders would have wanted to prove Earth was flat, because it would show intelligent design, to everyone? If you knew anything about why leaders have power over people, it's from HIDING the truth! The Bible doesn't mention God will pick out someone on Earth after Christ to lead people. Design a complex hierarchy which makes one man represent God, a group just below him, and so on. Special people who are chosen by God to lead all others, by churches, and cathedrals. To have the grandest monuments built of gold and silver, because God likes it. Where did you go to school? We learned that the Greeks used trigonometry to calculate the diameter of the Earth, and that the Egyptians who circumnavigated Africa were surprised when the Sun rose and set in the wrong places. Oh, and anyone who seriously thinks that the Earth might possibly be flat has either been cut off from civilization for their entire life... or is a moron. It is based on measuring curvature, not childish insults. How do they stop sailors from discovering the edge?. You can perform the same experiment as Eratosthenes if you require direct proof. Pick a location in Canada and a location in Central America and you will see that the Earth is so curved that it can only be a sphere.